Located in the heart of theatreland, the Aldwych Theatre is home to TINA: The Tina Turner Musical. 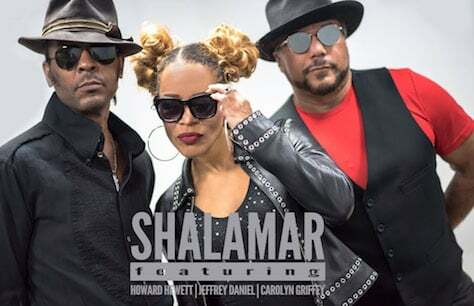 American R&B trio Shalamar take their body-popping hits to the West End's Aldwych Theatre for one night only! Public transport is recommended. The nearest tube stations are Covent Garden ( Piccadilly Line), Holborn (Central/ Piccadilly Lines) Charing Cross (Northern/Bakerloo Lines) and Temple (Circle and District Lines). If arriving by train the nearest rail station is Charing Cross Railway Station. However, City Thameslink Station and Blackfriars Railway Station are also nearby. The theatre is well serviced by multiple bus stops and lines including the 1, 4, 6, 9, 11, 13, 15, 23, 26, 59, 68 76, 87, 91, 168, 171, 188, 341, and 521 from Aldwych Kingsway (Stop F), Aldywch Somerset House (Stop R) and Royal Court of Justice (Stop P). If driving to the theatre the nearest carparks are located in Bloomsbury Square and Lincoln Inn Field. There is also an NCP underground car park in Parker Street. The Aldwych was built as a pair with the then Waldorf Theatre (now called the Novello Theatre), both being designed by W.G.R. Sprague. Funded by Seymour Hicks, in association with the American impressario Charles Frohman, and built by Walter Wallis of Balham, the ornate decorations were in the Georgian style. The theatre was constructed on the newly built Aldwych. The Aldwych Theatre opened on 23 December 1905 with a production of Blue Bell, a new version of Hicks' popular pantomime Bluebell in Fairyland. In 1906, Hicks' The Beauty of Bath, followed in 1907 by The Gay Gordons played at the theatre. In February 1913 the theatre was used by Serge Diaghilev and Vaslav Nijinsky for the first rehearsals of Le Sacre du Printemps before its controversial première in Paris later that year. In 1920, Basil Rathbone played Major Wharton in The Unknown. From 1925-1933, The Aldwych Theater became the home of Ben Travers's farces, also known as The Aldwych Farces. Members of Travers's company included Ralph Lynn, Tom Walls, Yvonne Arnaud, Norma Varden, Mary Brough, Winifred Shotter and Robertson Hare. In 1933, Richard Tauber presented and starred in a new version of Das Dreimäderlhaus at the Aldwych under the title Lilac Time. From the mid-1930s until about 1960, the theatre was owned by the Abrahams family. Vivien Leigh, who had won an Academy Award for the film version, appeared in a 1949 production of A Streetcar Named Desire at the Aldwych Theatre London, which was directed by her husband, Laurence Olivier. Bonar Colleano co-starred as Stanley. On 15 December 1960, after intense speculation, it was announced that the Royal Shakespeare Company of Stratford-upon-Avon was to base its London productions in The Aldwych Theatre for the next three years. In fact they stayed for over 20 years, finally moving to the Barbican Arts Centre in 1982. Among many notable productions were The Wars of the Roses, The Greeks, and Nicholas Nickleby, as well as numerous Shakespeare productions. During absences of the RSC, the Aldwych theatre hosted the annual World Theatre Seasons, foreign plays in their original productions, invited to London by the theatre impresario Peter Daubeny, annually from 1964 to 1973 and finally in 1975. For his involvement with these Aldwych Theatre West End seasons, run without Arts Council or other official support, Daubeny won the Evening Standard special award in 1972. In 1990-91, Joan Collins starred in Private Lives at London's Aldwych Theatre. Other notable recent productions are listed below. The theatre is referred to in Julio Cortázar's short story Instructions for John Howell (Instrucciones para John Howell) in the anthology All Fires the Fire (Todos los fuegos el fuego). The Aldwych Theatre is amongst the many West End theatres that are reported to be haunted. The capacity of the theatre is 1200 across 3 levels: Stalls, Dress Circle, and Grand Circle.